All Parts Plus Car Care Center Customers who received the North American Warranty Statement are protected from unexpected repairs on both parts and labor for 24,000 miles or 24 months, whichever comes first. If you have a problem with a covered repair performed at a Parts Plus Car Care Center simply call 1-877-252-4609 (toll-free). The Warranty Administrator will direct you to a Car Care Center in the market for repairs. If there is no Car Care Center in the market, they will direct you to one of more than 35,000 participating repair facilities for service. The repair facility will obtain authorization from the Warranty Administrator and perform the repair on your vehicle. Once the repair is completed, the shop will contact the Warranty Administrator. You pay nothing for covered repairs. Ask for details. 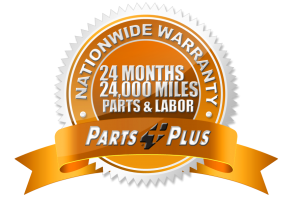 The North American Warranty covers parts and labor for a period of 24 months or 24,OOO miles, whichever comes first. Ask for details.